Are Men's Shave Clubs Like Dollar Shave Club Worth It? It depends on the type of razor you want. By now, you've probably come across one of the many razor subscription services. Dollar Shave Club, Harry's, Billie — it seems like everyone's trying to help shoppers shave a couple bucks off their personal grooming supplies. But which razor subscription offers the best value? 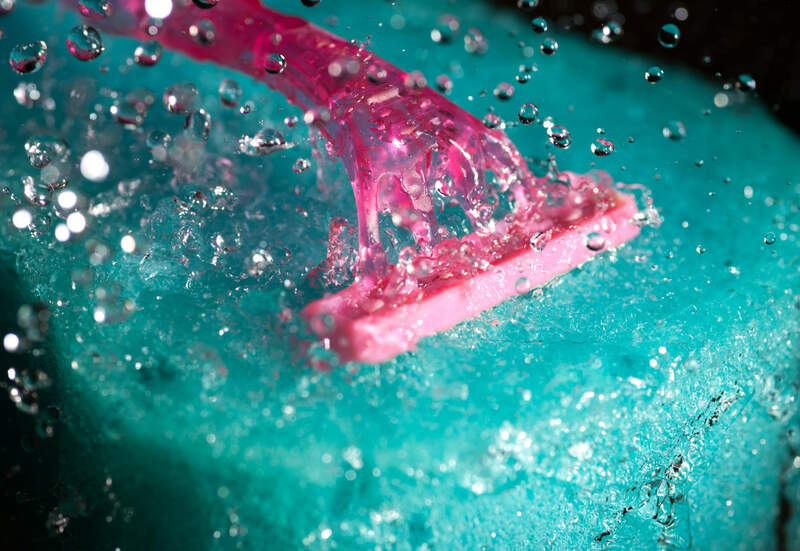 Here's everything you need to know about women's and men's shave clubs. Gels, creams, soaps, and lotions are often formulated for different kinds of skin. But as far as steel goes, plenty of women use razors marketed to men with great success. We recommend you use the shaving products that work best for you, regardless of the color on the handle. We've grouped razor subscriptions by gender here for convenience. SEE ALSO: Is the 'Pink Tax' Still a Problem? No longer the plucky startup after a $1 billion Unilever buyout, the Dollar Shave Club is facing stiff, bristly competition from a number of upstart men's shave clubs. Dollar Shave Club has branched out into a number of personal care products recently, but their core mission remains unchanged: offering razors at lower-than-store prices. But depending on the razor you get, other subscriptions could end up being cheaper than Dollar Shave Club's prices. "The Executive" 6-blade: Only the Executive comes with a trimmer. After the starter kit, Dollar Shave Club ships you four 6-blade cartridges for $9 with free shipping. Your first year of monthly shipments will cost you $2.17 per cartridge. "The 4X" 4-blade: After the starter kit, you can switch to this razor and get four 4-blade cartridges each month for $6 with free shipping. Your first year of monthly shipments will cost you $1.48 per cartridge. "The Humble Twin" 2-blade: After the starter kit, you could switch to this razor and get five 2-blade cartridges every month for $1 plus $2 shipping. Your first year of monthly shipments from the save club will cost you 64 cents per cartridge. Four cartridges for $9: $2.25 per cartridge (shipping extra). Eight cartridges for $16: $2 per cartridge with free shipping. Sixteen cartridges for $30: $1.88 per cartridge with free shipping. Harry's also offers a shave plan. You'll pay $8 for a 2-week trial set that includes a razor and shave gel, and then choose how often you want to receive a set of eight replacement cartridges. The cartridge sets cost $15 each, or $1.88 per cartridge. The Gillette shave club service is less straightforward than the other men's shave clubs, and their prices are only competitive with first-time customer discounts, first-year credits, and specials. 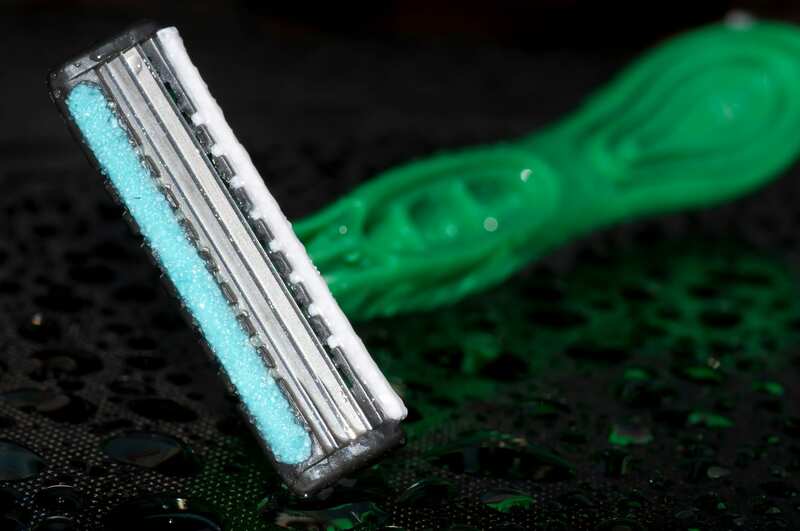 However, Gillette offers a variety of different razors, and their disposable razor subscription is one of the cheapest ways to get razors in the mail. Sensor3: Eight disposable razors, $7 for the first order, $10 for subsequent orders, $2 shipping and handling, and every fourth order is free (with subscription). If you stick with this plan for a year, that's about $1.06 per razor. 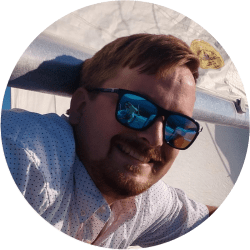 Mach3: Four blade refills for $7 (first order, with handle), $10 for subsequent orders, free shipping, and every fourth order is free (with subscription). If you stick with the plan for a year, that comes out to $1.69 per cartridge. Fusion ProShield: Four blade refills for $17 (first order, with handle), $20 for each subsequent order, free shipping, and every fourth order is free. If you stick with the plan for a year, that's $3.56 per cartridge. Billie is a women-first shaving club. They offer a starter kit for $9, but unlike Dollar Shave Club's kits, it just comes with a razor handle, a holder, and two 5-blade cartridges. After your starter kit, the 5-blade cartridge comes in a 4-pack for $9 with free shipping. You can get deliveries monthly, every two months, or every three months, but the price remains the same: $2.25 per cartridge. Billie offers a 'Pink Tax Rebate.' But at $2.25 per cartridge, it costs more than most of the men's shave clubs. Billie offers a "Pink Tax Rebate" program — refer your friends and you get coupons — but at $2.25 per cartridge, it costs more than most of the men's shave clubs we discussed (excluding the Gillette Fusion ProShield). "Happy" 3-blade: Six cartridges for $12, or $2 per cartridge. "Hey Hey" 5-blade: Six cartridges for $18, or $3 per cartridge. Angel Shave Club bills itself as a "boutique," but they offer the best shave club deals out of all of the shave clubs for women we examined. Its prices are also competitive with the best men's shave clubs. Angel Shave Club offers two different cartridges: a 5-blade with a precision trimmer and a 3-blade without. Their trial pack is free (you cover shipping), and includes a razor handle and one 5-blade cartridge. Your first package arrives about two weeks later. Unlike Dollar Shave Club, Angel Shave Club only ships every two or four months (your choice), but can ship eight cartridges to a pack. "The Little Lady" 3-blade: $12 per pack of eight, or $1.50 per cartridge. "The Angel" 5-blade: $18 per pack of eight, or $2.25 per cartridge. How Do Safety Razors Compare to the Shave Clubs? If you're willing to venture away from the realm of the cartridge razor, double-edged safety razors can be a significantly cheaper option. Weishi makes a highly rated butterfly-opening safety razor handle that comes with five blades for about $16 on Amazon. Once you've bought a handle, you can buy a pack of 100 blades from Astra for around $9. Of course, the best way to save money on razor replacements is by taking care of the blade you have. No matter which razor you own, you can drastically extend the life of the blade with one easy step: drying it off. Cleaning your blades with a light oil or rubbing alcohol and stropping them against some denim can also help, but keeping your blade dry should help most. Many shavers have reported extending the life of their blades by months. Readers, what do you think are the best shave clubs? 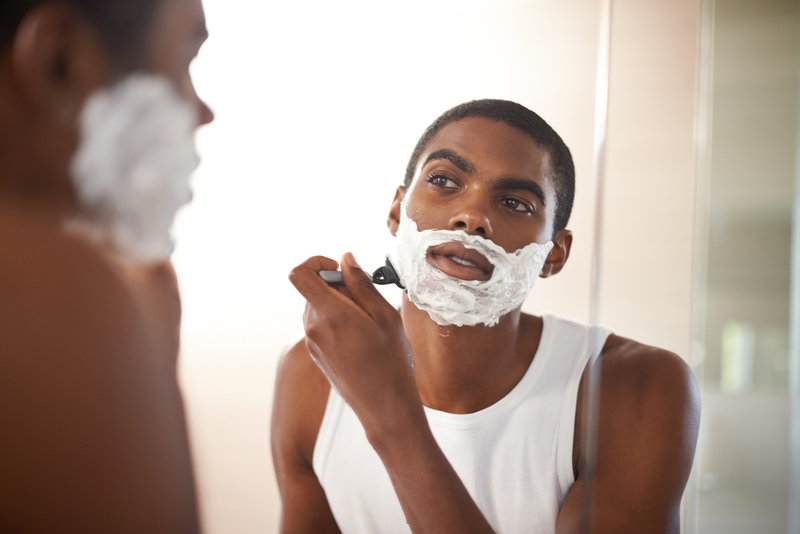 How have you trimmed a few bucks off your shaving budget? Let us know in the comments below! Is the 'Pink Tax' Still a Problem? I tried a Harry's cartridge and it threw it all away after 1 use - my scruff was too rough, and the blade dulled noticeably about 3/4 through the first shave, so I went back to whatever Gillette I've been getting at Target. If I shave every 3 days, I can can get 2 uses out of a cartridge. I picked up a RazorPit (https://www.amazon.com/gp/product/B0082BSXTO) about a year ago, and when I remember to use it I can double my uses out of a cartridge - sometimes more. Shout of for ShaveMOB. Been using their products for a couple years now and give them two thumbs up for their price and quality. I did compare them with the other online companies and found them to be best quality for the price. I shave my head, usually 3-5 times a week. I tried to Dorco one time and it got tossed away. Very harsh compared to a Fusion. I pickup the 26 pack Gilette Mach 3 style disposables at Costco. I average 8 to 10 shaves per razor. To me, there is good value. I tried out different razors from Dollar Shave Club. These razors lost sharpness very rapidly. As such, it ended up costing me more than what I normally spend with national brands, which I buy locally when they go on sale. I'm retired and I only shave when I feel like it. I had a problem with multiblade cartridge razors clogging up, so I bought an old fashioned double edge safety razor (Feather Brand) from Amazon, along with 100 blades. And I dry the blades off like Clark says to. My big question in life is which will I have the most of when I die: those blades, my vast number of t-shirts, or the Crocs I over- bought? I buy two-blade disposables at the Dollar Tree, they cost 10¢ each, and I use each one for seven shaves. I could probably get another few shaves, but why not splurge a little? I find that the most important thing is to lather for a couple of minutes with a shaving brush and hot water. After about two minutes, the beard is as soft as it's going to get, and I can get as good a shave as anyone for under two cents a day. I know I'm old school, but I don't see any reason to buy into any razor delivery service. What has worked for centuries is good enough for me. I use the Dorco Pace 3. I shave daily and get three months out of each blade. I don't need a weekly service. Why bother with Dollar Shave Club, when you can buy the razors from the manufacturer who sells them unbranded and (if you wait a couple of weeks) regularly has 50% coupons off their standard prices? I tried the Dorco Pace razor and it was horrible. Might try another but Gillette works well for me. Might check out the Amazon one that MWF noted...thanks! Best shaving club is Amazon Subscribe and Save.